If you thought that our last guide to the health benefits of coffee was exhaustive, wait until you review the list below. Yes, medical experts have confirmed at least a few more major advantages to a coffee habit. Therefore, our alphabetical exploration of them continues. 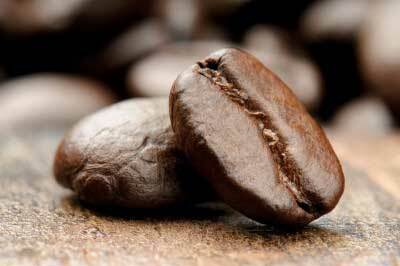 There are minerals and other nutrients in coffee that people often don’t get enough of in their diets. Magnesium is a great example. This mineral assists the body in breaking down fats and proteins, boosts the immune system, contributes to skeletal strength, regulates the heartbeat, and performs a variety of other crucial functions. For optimal health, the average man needs about 420 milligrams of magnesium per day, and the average woman requires a daily intake of 320 milligrams or so. However, the typical daily American diet contains approximately 100 fewer milligrams of magnesium than it should. Coffee, then, can help to bridge that gap. Given that one cup of coffee has about 7 milligrams of magnesium, three or four cups can make an important difference. Chronic pain can make daily life a drudgery, but coffee can apparently ease this torment; it’s especially effective when it comes to back and neck pain. For one thing, caffeine can make a person’s perception of pain less intense. It’s not exactly clear why this phenomenon occurs, though. Most likely, caffeine keeps the nervous system’s pain receptors from doing their jobs efficiently. Also, when you take either a prescription or an over-the-counter pain reliever, caffeine should allow your body to respond to the medicine more quickly. Even better, caffeine will increase the pain-reducing effects of the medication by as much as 40 percent. There’s more good news here: According to a 2009 University of Illinois study, the pain-relieving effects of caffeine are unaffected by how often a person drinks coffee. Therefore, you can consume as much of this beverage as you’d like and not have to worry that its pain-fighting properties will wear off over time.